For years, Tesla has watched as competitors surged ahead of it, hitting milestones and earning acclaim for progress toward self-driving vehicles. But now Tesla is doubling down on a self-driving car strategy that its competitors can't match. 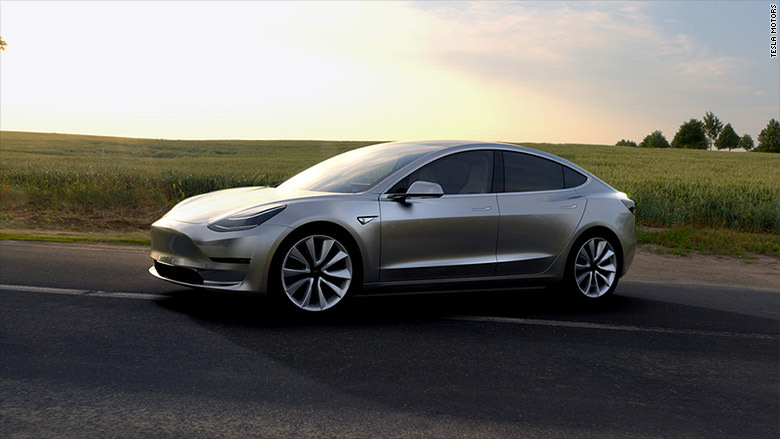 Analysts say the unique, risky approach could push Tesla ahead of competitors, or end in failure. Tesla announced Thursday that all of its vehicles being produced have the hardware to be fully self-driving. Some Tesla vehicles already have autopilot, which is akin to a sophisticated cruise control. But with fully self-driving vehicles, which require more sensors and cameras, Tesla could trigger a revolution in how we get around. Autonomous cars are widely expected to improve road safety and broaden access to transportation. There's one catch -- Tesla's vehicle won't be shipping with the software needed to drive on their own. Tesla, which updates its cars remotely as if they were smartphones, will gradually send over-the-air updates as it shifts toward full autonomy. Tesla will fine-tune its self-driving software in a "shadow mode" on the thousands of Tesla cars on roads around the world. The company will be essentially crowdsourcing the improvement of its self-driving technology. As the software runs in the background on Tesla cars, the company's engineers will track how the self-driving software would operate if it were in control of the vehicle. Then they'll make corrections to improve the system. Tesla's competitors -- including Google (GOOG), the leader in the self-driving field -- simply can't match this approach. Google, for example, isn't an automaker so it has to rely on test drivers. Traditional automakers like Ford (F) and GM (GM) have cars on the road, but they can't crowdsource like Tesla because their vehicles lack self-driving hardware and over-the-air updates. 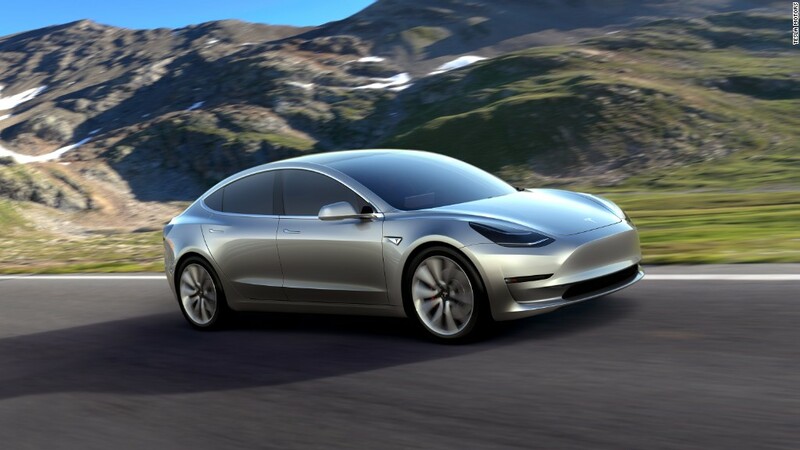 "What Tesla is doing, and their ability to continue to upgrade the system, it gives them the ability to catch up, and it gives them real-world testing and data collection at a huge level," said Mike Ramsey, a research director at Gartner. Tesla also has an edge in that it's willing to take on more risk than competitors. "I don't think Tesla minds that they can put the car out without having it be a finished product," Ramsey said. "It is something that Google and GM and others just refuse to do. They feel like it has to reach a perfection level." Fei-Fei Li, director of Stanford's AI lab, said Tesla's decision to outfit its car with self-driving hardware is a visionary move that's preparing it for the future. "The race to self-driving cars has begun," Li said. "But the journey is still long." It's unclear if Tesla's plan will work, and when it could match competitors such as Google and Uber. Tesla is forgoing the use of a LIDAR sensor, an expensive component, which many in the industry feel is essential to making a safe self-driving car. By not using LIDAR, Tesla can keep its costs down. The fully autonomous software package will cost Tesla owners an extra $8,000. The potential danger for Tesla is that its self-driving software updates won't work well enough, and there will be a rash of high-profile crashes, such as the death of Joshua Brown, an Ohio man who died in May while driving his Tesla in autopilot mode. A backlash may trigger regulators to step in and crack down on the self-driving car industry. "It's totally risky what they doing," Ramsey said. "At the same time, it's kind of revolutionary in the way car companies do things." Tesla's risk tolerance has already played a role in a messy break-up with Mobileye, the company it previously partnered with on its self-driving technology. Mobileye said it would no longer work with Tesla, citing concerns over the reputation of autonomous driving. But if Tesla's approach succeeds, skepticism will evaporate quickly and Tesla will be the trendsetter. "If this works, everyone will have to do it," Ramsey said. "They will have to do it, or adopt at least sections of it, or they will be left behind."